Attah's creativity, resolve and indomitable spirit is an example of a visionary leader. He laid a solid foundation for modern Akwa Ibom State and unbound the spirit of the people to move confidently into Nigeria and the rest of the world. One of the first major examples of his vision to set excellent standards in the development of Akwa Ibom was the whopping investment in the strategic window created by the introduction of the Global System of Mobile Telecommunications (GSM) in the country. His government invested N6.7 billion in Econet, which after several changes in ownership now operates as Zain network. Today, Obong Attah walks tall, having been vindicated by the resolution of the issues surrounding the sale of Akwa Ibom's shares in the company. Against the background of a total dependence on the problematic analogue telephone system in the state, the investment in the GSM network forced the immediate roll out of the service in Akwa Ibom, making Uyo, the state capital, one of the first four cities in the country to enjoy GSM services. The return on that bold and visionary investment has been a source of joy to the people; it created employment, expanded business opportunities in such areas as direct dealerships, sale of recharge cards, chargers and batteries, as well as sale and repairs of handsets. Moreover, the availability of GSM services in the state eased communication between the people and others in several other parts of the world. Obong Attah's initial vision to catalyse industrialization and change the profile of the state from a civil service economy was bogged down by epileptic power supply. Conscious of the immense benefits of uninterrupted power supply to boost the economy, he started to build an Independent Power Plant in the state. Though the project could not be fully delivered before he left office at the end of his tenure in 2007, the good news is that his vision has been sustained to achieve the desired objective. 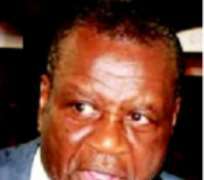 Attah was the first governor in the country to tap into the immense potentials of Information Communication Technology (ICT). Aware of the dangers of total dependence on oil as the mainstay of Nigeria's economy in view of the problems associated with the oil industry, coupled with the understanding that oil is a wasting resource, Obong Attah took steps to tap into the ICT sector by working to replicate Silicon Valley in Uyo. The facility, now christened Victor Attah Digital Opportunities Centre (VADOC), was set up as a forerunner to what could have served as the hub of a digital society in the Niger Delta area of the country. Attah was indeed the first governor in the country to prepare an Information Technology Policy. By the time Obong Attah started the Akwa Ibom International Airport project in Okobo, the National Hanger project had been discussed for decades without any meaningful action being taken to make it a reality. Attah, however, proved that the future belongs to those who dream and take concrete steps to translate such dreams into reality. Attah's strident, courageous advocacy for derivation, resource control, fiscal federalism and indigenous ownership of marginal fields yielded several positive results, among them the large monthly allocation now enjoyed by Akwa Ibom and other Niger Delta states. The Le Meridien Ibom Hotel and Golf Course he conceived and built is the reason why Akwa Ibom has become a conference location of choice in Nigeria. Attah built the Nwaniba, Abak, Nung Udoe-Ikot Okwot roads, among others, as well as several other bread and butter projects across the state. He built the Nigerian Stock Exchange Office, the Shelter Afrique Housing Estate and 1,550 modern houses across the 31 local government areas of the state. It was Attah who also laid the foundation for the establishment of the Akwa Ibom University of Science and Technology. Attah's strategy in governance was a systematic process where ideas and programmes were interwoven like a web in an attempt to situate Akwa Ibom as a favourite destination in Nigeria—nay, the world. However, visionary governance is not only about massive constructions. Under Attah, Akwa Ibom fared well politically. The state was an oasis of peace, the most peaceful state in the Niger Delta Region. There wasn't any incidence of kidnapping or assassinations. Though a multi-ethnic state, inter-ethnic tension was absent. The calm in Victor Attah's Akwa Ibom came from the equitable dispensation of patronage by the governor. As a true statesman, he stood on the side of justice and fair play to shift power to the minority Annang group in his State. Akwa Ibom, under Attah, was not a very rich state but her people were not hungry, for he initiated policies which empowered his people directly. Stretching of the imagination was exactly what former Governor Victor Attah brought into governance which made Akwa Ibom State not only unique in many ways, but also a pace-setter in visionary standards in governance. Out of office, Attah may be wondering why he was such a poor judge of character given the deliberate efforts by his former minions to make him lame politically. But, may be, he shouldn't worry too much, for as saying goes, history will vindicate the just.